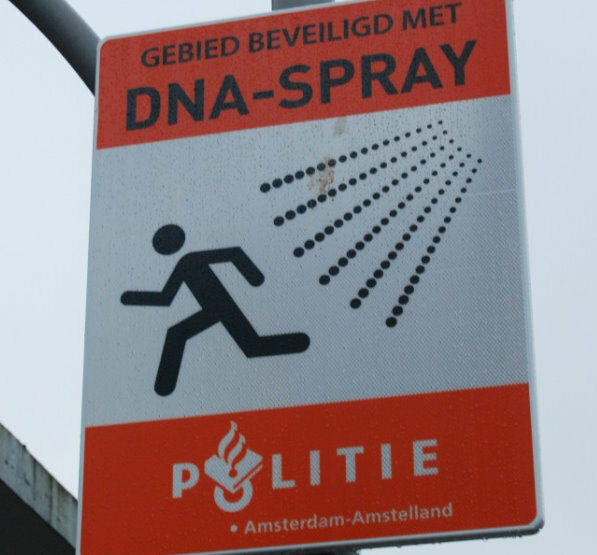 A business district in Amsterdam has begun using "DNA spray," an adhesive mist triggered by store clerks, motion detectors, or by remote camera surveillance operators during a robbery or holdup. Chemical markers injected into the mist identify the precise time and location of the incident. The above-linked Dutch blogger worries that DNA spray could be used by governments to identify the attendees at political protests.